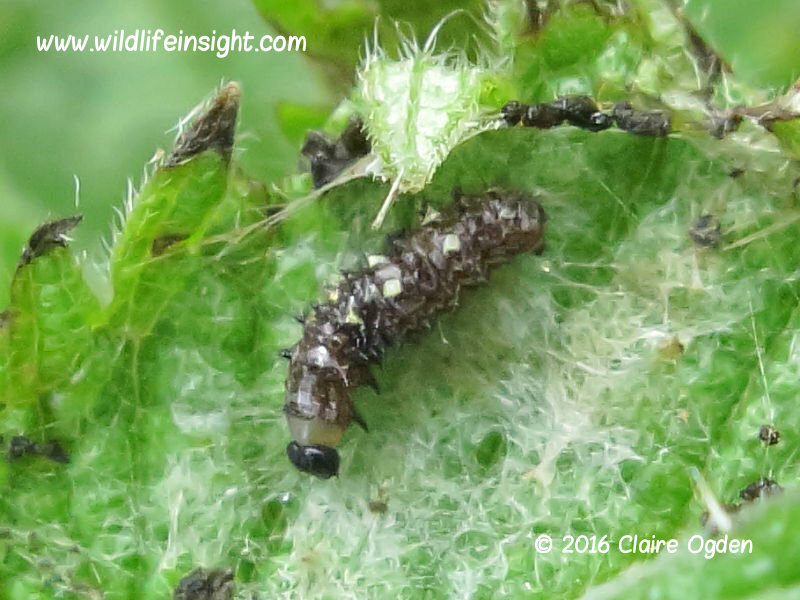 Three Red Admiral butterfly caterpillars, Venessa atalanta, and one Silver Y moth caterpillar, Autographa gamma, were found on nettles alongside the Helford Estuary in Cornwall on the 30th of January. Both these species are generally regarded solely as migrants in most parts of the Uk where the caterpillars are unable to survive frosts. Following the late migrant Painted lady recorded at Kynance Cove in November three more were sighted in January. These most likely arrived on the recent warm air flows from southern Europe and Africa which have also brought in many migrant species of moths. If the mild winters persist perhaps more migrant moths and butterflies may begin to establish all year round residency. The most commonly enquired about caterpillar in the Uk at the moment is the Angle Shades. 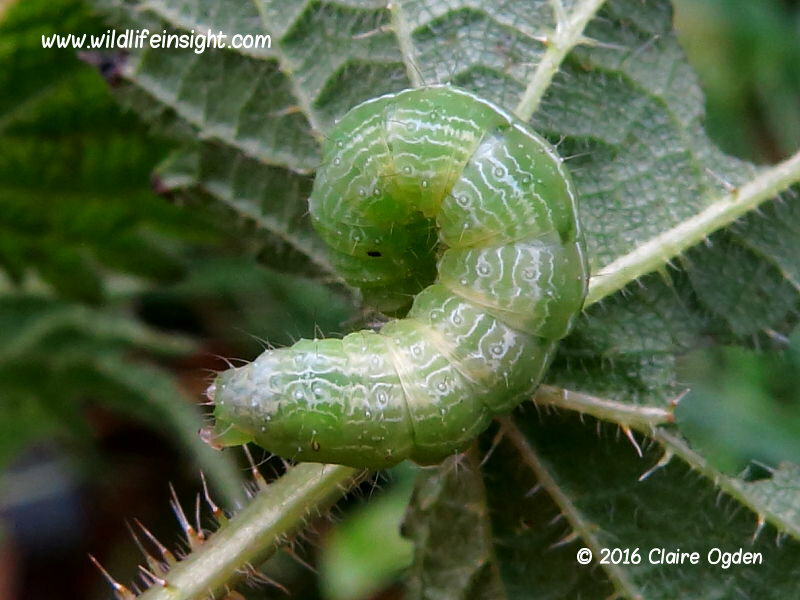 Latest sightings have included a particularly interesting caterpillar from the remote Island of St Helena and an eruption of wind-borne larvae in Tanzania – both hopefully to be featured soon.